A very interesting and much awaited decision came down a few weeks ago...Cathey v TX (2013). The interest in the case had to do, in part, with some of the critical Atkins issues it addressed. Notable was the courts recognition that the Flynn Effect (norm obsolescence) as a scientific reliable and valid fact and that an adjustment of 0.3 years per year is a appropriate. No other comments are offered. It is a decison worth reading. This is very relevant to predictions made based on group-based IQ scores in the case of individuals, such as expected tested achievement given a specific IQ score. It is all about the standard error of the estimate/prediction (SEest) which I have described in a number of Atkins declarations. 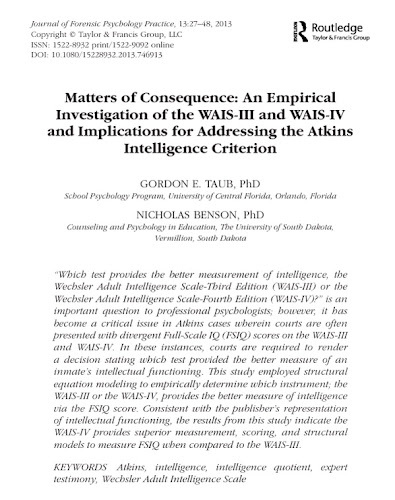 A new article comparing the changes from the WAIS-III to the WAIS-IV with implications for Atkins cases by Taub and Benson. Below is the abstract. Dr. Taub can be contacted via this link. 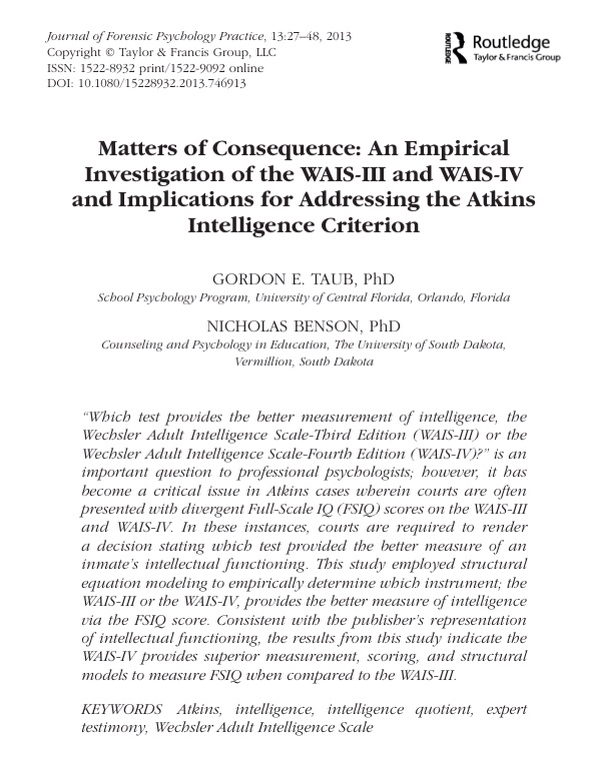 A previous IAP AP101 report dealing with WAIS-III/WAIS-IV structural changes is worth reading when reviewing this current article. Mental Health Services for Adults with Intellectual Disabilities - What Do Service Users and Staff Think of Them? current service policies and procedures. life or having ways to manage difficult emotions like sadness or anger. to be enabled to access these good things. and their respective implications for assessment and intervention. practical applications in the field of intellectual disabilities. study aims to review the current literature and provide a meta-analysis. anger in adults with intellectual disabilities published since 1999.
cognitive behaviour therapy (CBT) anger management intervention. ingredients of success, the therapist role and taking the group forward. behaviour in offenders with intellectual disability. Author(s): Lindsay, William R.; Carson, Derek; Holland, Anthony J.; et al. 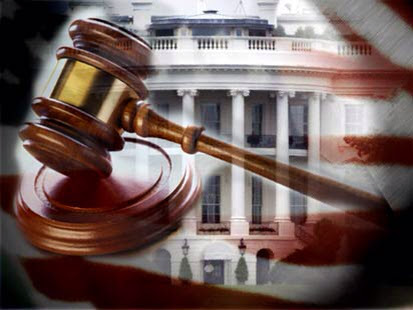 The opinion came in the consolidated cases of Ernest Valencia Gonzales of Arizona and Sean Carter of Ohio. Both men's mental health deteriorated as they languished on death rows while their appeals wound slowly through the courts. "Given the backward-looking, record-based nature of most federal habeas proceedings, counsel can generally provide effective representation to a habeas petitioner regardless of the petitioner's competence," wrote Justice Clarence Thomas. So, any of you forensic psychologists with pending evaluations of competency in habeas cases can close out those files and put them in storage. The opinion is HERE. My blog post laying out the legal controversy is HERE. A lengthier report on yesterday's opinion can be found at Courthouse News Service (HERE). 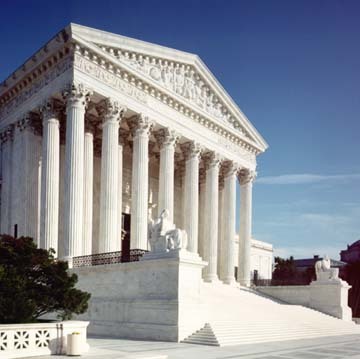 On January 8, the U.S. Supreme Court unanimously rejected indefinite delays in the federal review of death penalty cases when inmates are mentally incompetent to assist their attorneys. Writing for the Court, Justice Clarence Thomas said such appeals are usually based on established facts, not requiring further input from the defendant. "Given the backward-looking, record-based nature of most federal habeas proceedings, counsel can generally provide effective representation to a habeas petitioner regardless of the petitioner's competence," he said. "Attorneys are quite capable of reviewing the state-court record, identifying legal errors, and marshaling relevant arguments, even without their clients' assistance." The opinion consolidated the cases of Ryan v. Gonzales (Arizona) and Tibbals v. Carter (Ohio). In Carter's case, the Court left open the window for a temporary stay if his appeals rely on evidence outside the court record and if he might regain competence. "If a district court concludes that [Carter's] claim could substantially benefit from the petitioner's assistance, the district court should take into account the likelihood that the petitioner will regain competence in the foreseeable future," Thomas wrote. "Where there is no reasonable hope of competence, a stay is inappropriate and merely frustrates the state's attempts to defend its presumptively valid judgment." (D. Cassens Weiss, "Supreme Court Allows Some Limited Stays for Competency in Habeas Corpus Appeals," ABA Journal, January 8, 2013.) Read the full opinion. See Supreme Court and Mental Illness.